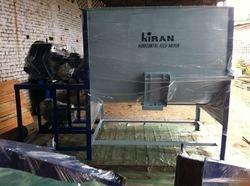 Providing you the best range of horizontal feed mixer and single shaft paddle mixer with effective & timely delivery. 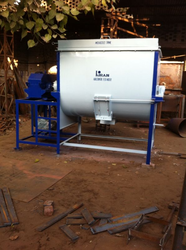 We are the leading manufacturer and supplier of Horizontal Feed Mixer. These product range are tested at various level, to ensure complete satisfaction to our valued patrons. The rotor is spun at a high speed inside the drum while material is fed into a feed hopper. KHMF-750 8-10 Tons 7.5 H.P. KHMF-1000 12-16 Tons 10 H.P. KHMF-2500 20-24 Tons 20 H.P. Looking for Horizontal Mixers ?